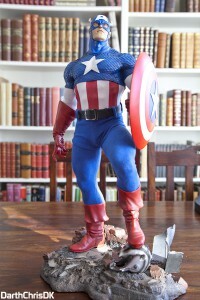 The point of this article is to provide you with a list of definitions of terms that are often used within the statue collecting community in order to classify and categorize statues. First thing first: The size of a statue can be measured in either its dimensions (HxWxL) or its scale. The scale of a statue is typically expressed either as a ratio (e.g. 1:4) or as a fraction (e.g. 1/4th or just 1/4), and it describes the size of the model compared to the actual object that it seeks to replicate. If a statue is 1/4th scale, and the actual object that it seeks to replicate is e.g. 200 cm in height, the statue would be 4 times smaller than the actual object = 50 cm in height. Note: In some cases, a statue might not conform to the above or the below definitions, either in terms of scale or media etc. There can be various reasons for this, but in most cases the reason is simply that the artist does what he/she feels is right for the character they are working on. What’s the difference between Premium Format / Comiquette / Maquette? 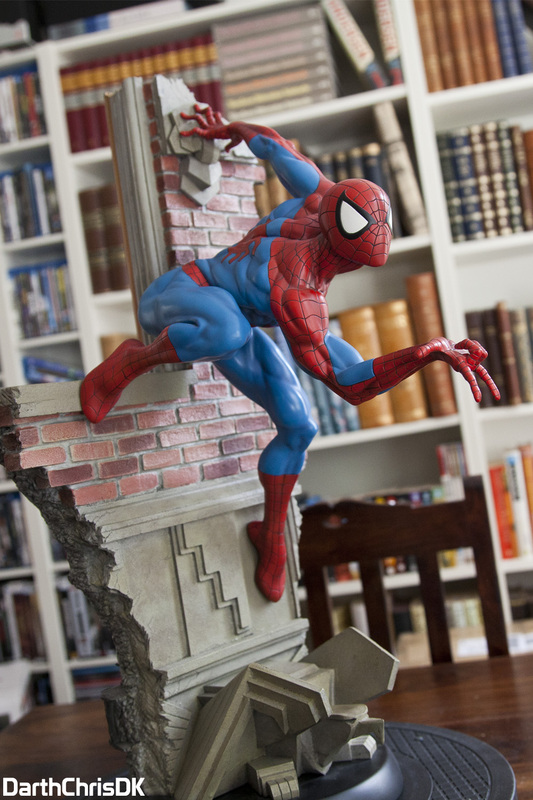 Premium Format Figure is the most popular type of statue produced by Sideshow Collectibles. What this type of statue denotes has changed a bit in recent time. Today, Premium Format Figure basically means that the statue is quarter scale (1/4). Period. Traditionally, however, Premium Format Figures were characterized by featuring an array of mixed media i.e. fabric elements or metal bits and pieces. These days, we see fully sculpted PFs being made, and as such, the use of mixed media is no longer a defining characteristic of Premium Format Figures. PFs are typically cast in polystone, but are in some cases made from lighter materials, e.g. PVC, depending on the design. 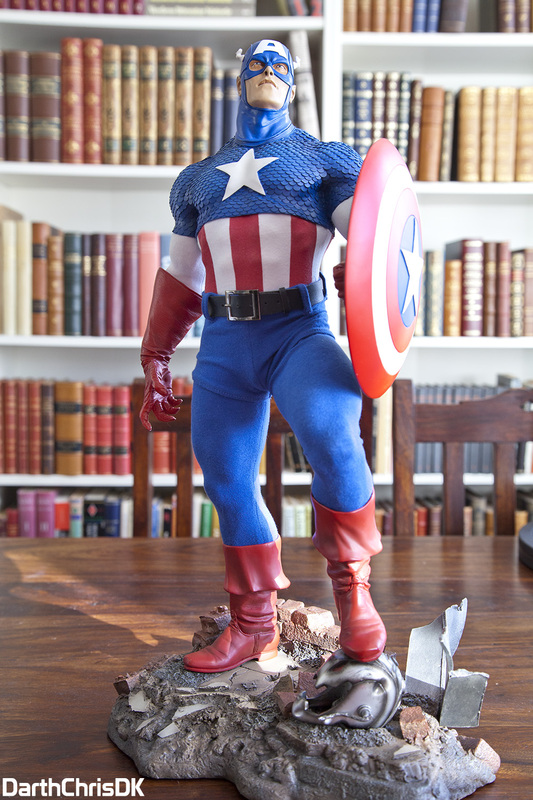 The popularity of Premium Formats has cemented the 1/4 as the “go-to” scale for mass-produced pop culture collectible statues, and fans of e.g. Marvel, DC Comics and Star Wars (and a lot of other franchises) will all be able to quench their thirst with Premium Format Figures. Comiquettes are fully sculpted statues in the scale of 1/5. This is also a relatively new definition since Comiquettes of the past vary a lot in scale (e.g. 1/6, 1/5 or even 1/4). Today, the difference between a Premium Format and a Comiquette is simply a question about scale: Premium Formats = 1/4 and Comiquettes = 1/5. Comiquettes are fully sculpted statues made out of polystone. Comiquettes do not feature mixed media as Premium Formats often do. The design of a Comiquette can often be tracked back to the artwork of a specific artist, and as the name also suggests, we mostly only see characters from the world of comic books make it into the Comiquette format. Maquettes are typically pieces of an arguable “higher-end” nature. 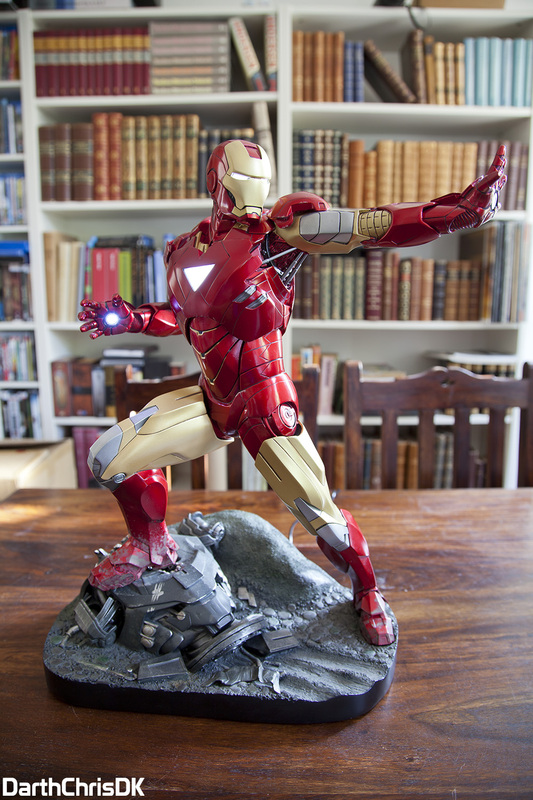 It would probably be more precise to settle with the notion that Maquettes are statues that have their roots in film production source material e.g. proof of concept etc. The word “maquette” is French for “scale model”, and it is a term that is also commonly used outside the realm of just pop culture statues. For example, a maquette could be a “prototype” that someone would demonstrate to their client, e.g. architectural models. Due to their strong ties to various movie franchises, these statues have a strong appeal to both fans and the average moviegoer. Sideshow has produced several Maquettes based on the designs and materials from popular franchises such as Marvel, Alien, Predator and Transformers. Despite the fact that there are some significant differences between all these formats, the end result remains the same: they all compliment each other in a great way! Sure, there are in some cases obvious differences in scale, but in general, they can actually be displayed together without necessarily looking that different in terms of their scale. So, what other scales should I know about? I’ll do a quick rundown of additional types or classifications of statues that are good to know. I might expand on this list at a later time. 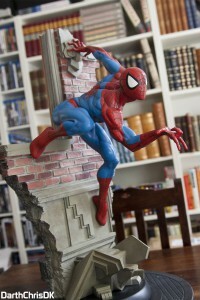 Legendary Scale Figure (LSF): High-end statue in the scale of 1/2. Features mixed media more often than not. Typically priced at around $2,000 or more. 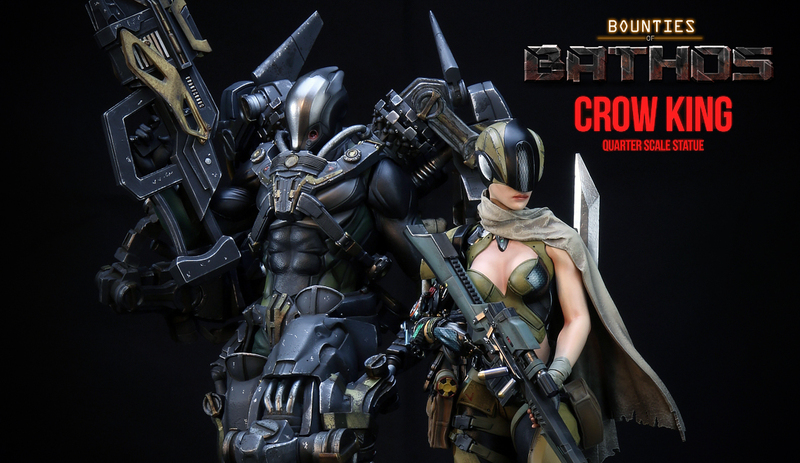 Legendary Scale Bust (LSB): High-end bust in the scale of 1/2. Most commonly fully sculpted. Star Wars Mythos: Artful interpretations of/explorations into established characters from the Star Wars Saga. Scale of 1/5. Fully sculpted. Life-Size Bust (LiSB): As the name suggests, in the scale of 1/1. There are both fully sculpted pieces as well as mixed media ones. Life-Size Figure (LiSF): As the name suggests, in the scale of 1/1. These statues are extremely high-end. Especially from a price point-of-view. There are both fully sculpted and mixed media ones. Diorama (dio): Representation of a popular scene or narrative setting. Often includes more than one character. Comes in many different scales e.g. 1/8 but also 1/4. Cinemaquette is both a name and a term i.e. the company is called Cinemaquette, but so is their line of statues. The name is the clever joining together of “cinema” and “maquette”. They create statues in the scale of 1/3 that feature a high quality likeness as well as mixed media (fabric elements, silicone portraits and artificial hair). I might have forgotten a few. Feel free to let me know if that is the case. 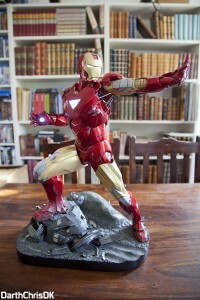 Also, I’ve more or less only mentioned the types of statues defined by Sideshow Collectibles (apart from Cinemaquette). Most other companies so far don’t have that many established product types, and when they do, they often use terms that relate closely to the above. This might change in the future, in which case, I’ll be sure to update this article. Thanks for reading, and I hope this is useful to you. 2015-11-08 – Added Cinemaquette. Changed text of Comiquette to emphasize scale distinction. Hi Mar. I am sorry for the very late reply. OG is a slang term. It means “original gangster” and in this relation, it is used to describe the first version of a character. Fx the first Captain America PF is often called OG.